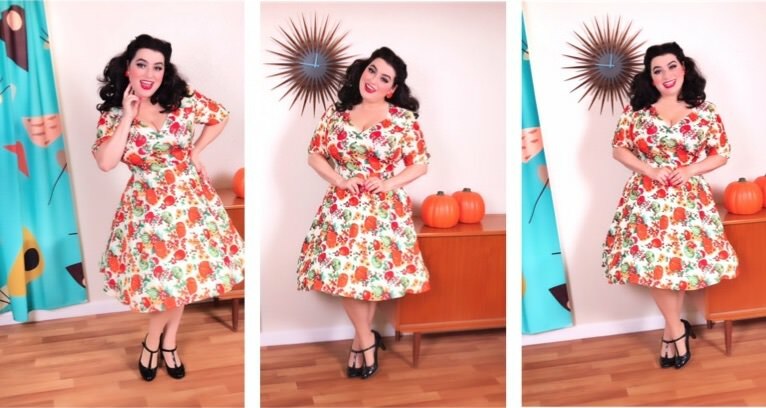 Noting says Fall and Autumn more than this Hell Bunny Harvest dress. The pattern is so delightful with bright orange pumpkins, apples, sunflowers, acorns, squashes, and more. When I first saw the dress I couldn’t wait for it. I was very unsure of the right size for me and how it would fit a full bust. The Hell Bunny team is fantastic and I chatted with them and turns out my regular Hell Bunny size of 2XL would work. I think it fits perfectly. The dress has such a feminine shape that accentuates my curves beautifully. The material is incredibly light and has a tiny bit of stretch. The sleeves are very roomy and flow over your arms. I especially love the details of the green decorative buttons that accentuate the center front. If you wanted to show more of a waist then belting this dress would be a great option. The dress is very versatile too. I can see myself wearing it with tights and even high boots with a cardigan as the cooler weather sets in. 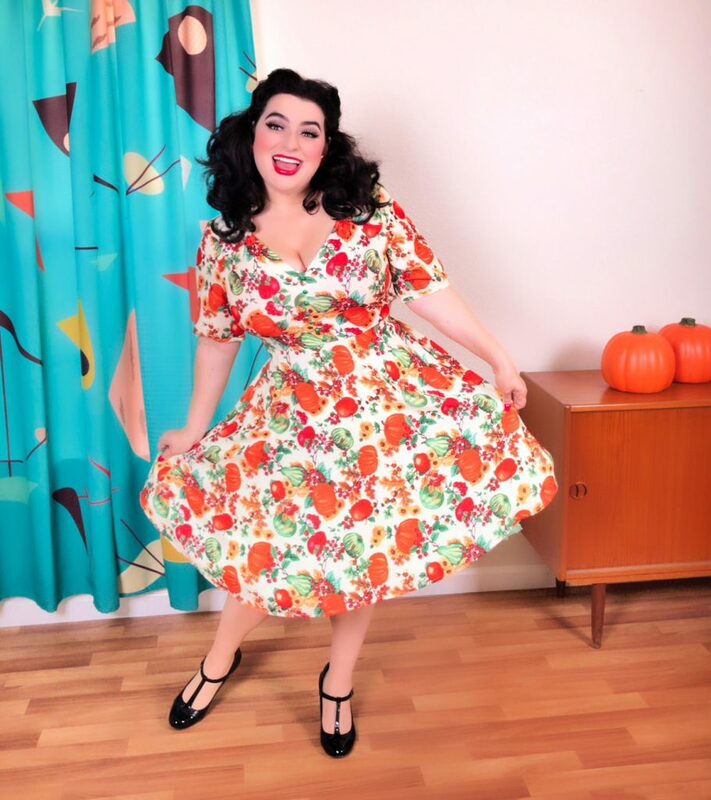 This gorgeous Harvest dress will be one of my season staples for sure! !